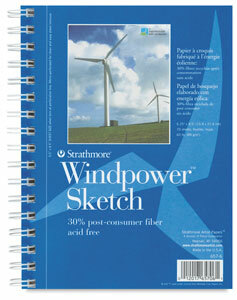 These are the perfect sketch pads for the ecologically-minded artist. The paper is made using 100% windpowered electricity and 30% post-consumer fiber. Pads contain micro-perforated, acid free sheets with a medium, lightly textured surface. The 60 lb (89 gsm) paper is great for practicing techniques. It's ideal for use with all dry media. 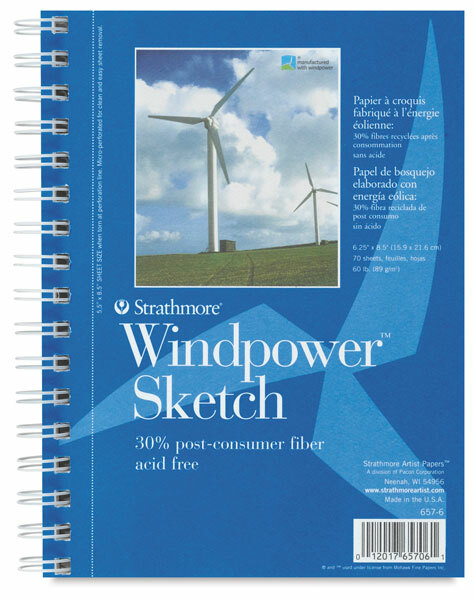 Strathmore Artist Papers supports environmental solutions that don't compromise their paper performance, appearance or price.